Abu Dhabi: The first recipients of the first 10-year residency visas in the UAE welcomed their new status, saying that it helped provide long-term stability for them and their families while living in the UAE. Long-term visas were given to 20 scientists in total. number of scientists given 10-year visas in the UAE. These include the winners of the first and second edition of the Mohammad Bin Rashid Medal for Scientific Excellence. The decision to roll out 10-year visas for residents was announced last year by the UAE Cabinet, with the move aimed at providing long-term visas for specialists in medical, scientific and research fields. 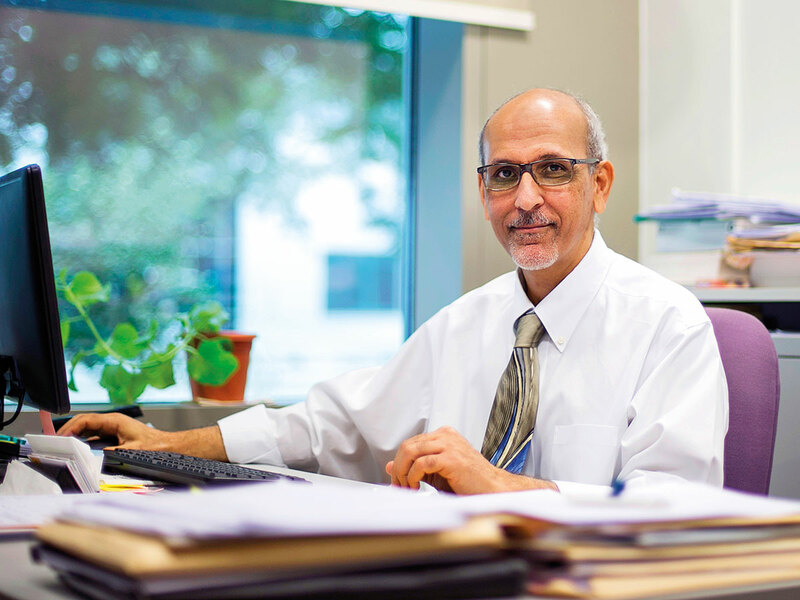 “I think this is an excellent step in the right direction for myself and my colleagues,” said Dr Hassan Arafat, a Jordanian professor at Khalifa University, who was granted a 10-year visa. “This will allow us to have plans for the long-term here in the UAE, which will help us tremendously as scientists to continue to carry out meaningful research. “Major discoveries and work in science exceed short-term plans and often require a lot of time, and so the longer we have the better our level of discoveries will be, which in turn will have a real benefit for the community at large,” he added. Dr Lakmal Seneviratne, a Sri-Lankan born British national who serves as the director of Khalifa University Centre for Autonomous Robotic Systems said he was proud of receiving the 10-year visa. “I’m very happy and pleased that I’ve got the visa, but more than anything else it’s a great recognition of our contribution and so I feel very privileged. “Along with my research I am also involved in a lot of recruitment for Khalifa University when it comes to finding the best talent, and so having a robust package that can offer 10-year visas gives us an edge when it comes to attracting them to come to the UAE. Providing long-term stability for scientists to carry out their research is a huge plus,” he added. Dr Enas Al Nashef from Palestine and associate professor at the Department of Chemical Engineering at Khalifa University shared the same views, highlighting the importance of creating a positive environment for scientists to do their work. “Everyone nowadays is looking for stability and peace of mind, and so this initiative will really help when it comes to attracting the best scientists from around the world. Personally I am really happy with the 10-year visa, it shows that you and your work are appreciated,” he said. “Having the long-term visa also encourages me to strive harder in my work now because we have received a big honour from the government of the UAE, this is a very big motivation,” he added. Dr Andrea Macciò, an Italian associate professor at the Physics Department and head of the Physics Programme at New York University Abu Dhabi, has worked in several different countries prior to coming to the UAE. Macciò said the 10-year visa would let him settle in the UAE rather than having to move again. “Having stability is very important, I have worked in many different European countries like Italy, Germany and Switzerland, and so it’s not the easiest thing to keep relocating when I have a family. Now, with the 10-year visa I’ll be able to just stay in one place where I know I can do my research. “In general, the whole scheme is something that I support as a scientist because when it comes to scientific research the time frame for these things is a long one — from the inception of the research idea to the experiments and then the collection of results,” he added. Dr Amr Ameen, a professor of biology at UAE University, said he was grateful to the UAE’s leadership and said the long-term visa had given him a deeper sense of belonging. “I would like to take this opportunity to extend my sincere appreciation and gratitude to His Highness Shaikh Mohammad Bin Rashid Al Maktoum, Vice-President and Prime Minister of the UAE and Ruler of Dubai, for honouring me with a long-term visa among an elite list of winners and finalists of the Mohammad Bin Rashid Medal for Scientific Excellence. I am so proud to belong to such a great nation that proves every day its dedication for a better future for everyone who makes the UAE their home, nationals and expats alike,” said the Egyptian professor. I am so proud to belong to such a great nation that proves every day its dedication for a better future for everyone who makes the UAE their home, nationals and expats alike. “It is quite a privilege to be affiliated to the oldest academic institution, the university of the future, UAE University. 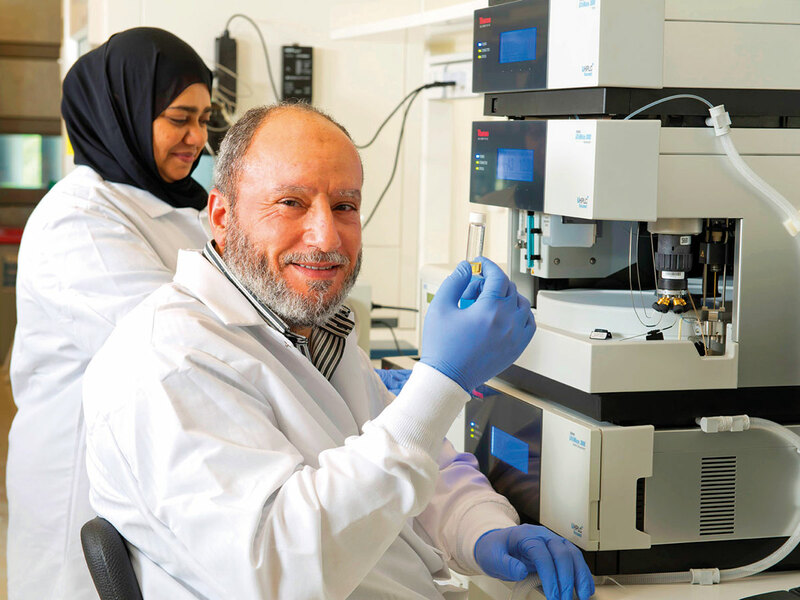 In fact most, if not all, of my studies and reviews in the area of cancer research and drug discovery were executed at UAE University with an uninterrupted support and ongoing encouragement of UAEU administration,” he added. Of the 20 awarded 10-year visas, four were women, including Lihadh Al Gazali, a British-Iraqi senior consultant at the Clinical Genetrics and Paediatrics at UAE University, who won the Mohammad Bin Rashid Medal for Scientific Excellence. “It has been a privilege to set up, lead, and deliver the regional genetics service for the UAE, which has been my home for the best part of the last three decades,” she said. “I am grateful and honoured to receive the Mohammad Bin Rashid Medal and thank Shaikh Mohammad and the UAE government for the recognition and appreciation of my contribution. Other women granted 10-year visas were; Dr Linda Zou, Professor of Science and Technology at Khalifa University, Dr Afaf Kamal Al Deen, Professor of the Department of Food Science at UAE University, and Dr Lourdes Vega, an Honourary Professor at the Gas Research Centre at Khalifa University. What is the 10-year visa and who is eligible? The initiative may have been announced last year, but the first recipients were only granted last week. The UAE has done this to retain talent and maintain an attractive environment for business and investors. Such visas are only available to entrepreneurs, investors and specialist talents in the field of science and research, as well as exceptional students. Visas include spouse and children of the recipient. -The long-term visa could also be extended to include business partners, provided that each partner contributes Dh10 million, the spouse and the children, as well as one executive director and one adviser. -The decision allows investors to enter the country for a six-month period, multiple entry, to apply for the long-term visa requirements. -PhD degree in addition to 10-year professional experience in the applicant’s field of work. -Scientists must be accredited by the Emirates Scientists Council. -Holders of the Mohammad Bin Rashid Medal for Scientific Excellence.